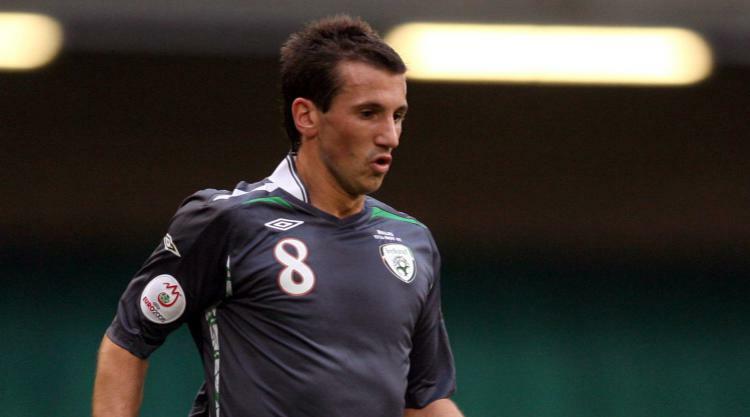 Celtic and Manchester United have expressed their support for former midfielder Liam Miller after reports that the 36-year-old is battling pancreatic cancer. The former Republic of Ireland player is reportedly receiving treatment in the United States, where he last played for Wilmington Hammerheads. Miller made his professional debut for Celtic in 2000 after coming through the youth ranks at Parkhead and helped them win the Scottish Premier League title in 2004. He then moved south to United on a free transfer, making 22 appearances under Sir Alex Ferguson in two seasons – which included a spell on loan at Leeds – before joining Sunderland in 2006. Miller was part of the Black Cats’ squad that won promotion to the Premier League in 2007 but he was on the move again in 2009, this time to QPR. A short spell at Loftus Road was followed by stints at Hibernian, Australian clubs Perth Glory, Brisbane Roar and Melbourne City, home-town club Cork City and, most recently, Wilmington. Many of his former clubs and colleagues have publicly expressed their support for Miller through social media. Miller won 21 caps for the Republic between 2004 and 2009, and current Ireland international David Meyler said the squad are thinking about their compatriot.